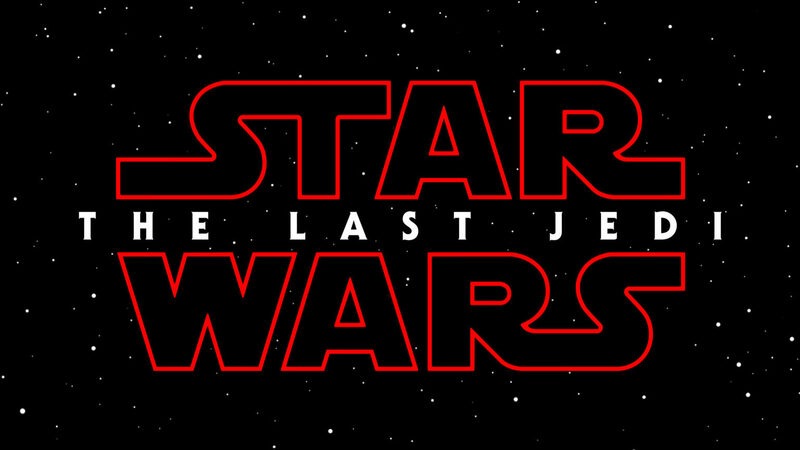 August 1, 2018 By Carlos C.
Alright, it’s been a couple of months since its release, so now we can calmly talk about Star Wars: The Last Jedi, the sequel to 2015’s Star Wars: The Force Awakens. At the time it divided audiences sharply, for many reasons I agree with and which we’ll go into in this review. But the main point of contention seemed to be that while fans were incredibly excited to see one of their favorite characters, Luke Skywalker (Mark Hamill), come back, they were dismayed to see him turned into an old, tired, embittered former Jedi. Many Star Wars aficionados exclaimed in outrage, “This is not my Luke, this is not my Star Wars!” Perhaps you were one of them, lamenting the loss of a hero that represented integrity, bravery and the good side of the Force. But, as someone who has grown up with all these films, this never struck me as odd or out of character. In fact, just like Star Wars: The Force Awakens echoed Star Wars: A New Hope (1977), so does Star Wars: The Last Jedi serve as a mirror to Star Wars: The Empire Strikes Back (1980) with Luke now standing in for the exiled Yoda in Dagobah. This in and of itself is not necessarily a good thing (Star Wars: The Force Awakens erred on the side of familiarity), but director Rian Johnson is after something else here: Whereas Yoda reluctantly trained Luke for his confrontation with Darth Vader, Luke refuses to train Rey, in fact constantly telling her why the Jedi should come to an end. It’s a smart, literary decision: Luke is an emotional wreck in need of redemption, and his final confrontation with nephew Kylo Ren (Adam Driver) makes his arc come full circle as he gives his life for the Resistance, faith in integrity, bravery and the good side of the Force restored. Luke Skywalker (Mark Hammil) faces the First Order. In fact, Johnson has taken the Star Wars formula and tried to breathe new life into the saga, much in the same way that Gareth Edwards did with 2016’s Rogue One. It doesn’t always work, but when it does, it elevates Star Wars somewhere close to art: By far the film’s best set piece has Rey (Daisy Ridley) and Kylo joining forces (briefly) to defeat Supreme Leader Snoke (Andy Serkis) and his Praetorian Guard. As they fight, acting, choreography, art direction, costume design, and special effects all coalesce around the color red as both a symbol of anger (Kylo) and strength (Rey). It’s jaw-dropping. There are other inspired moments: Admiral Holdo (Laura Dern) rams an enemy ship at light speed, resulting in ten seconds of silent images that are as beautiful as a painting; resistance fighters pilot their ski speeders so close to a planet’s surface that they leave streaks of scarlet behind them; as Luke dies he stares longingly at the sunset in a poetic callback to his young self in Star Wars: A New Hope. Aesthetically, Star Wars: The Last Jedi is the best episode since Star Wars: The Empire Strikes Back. 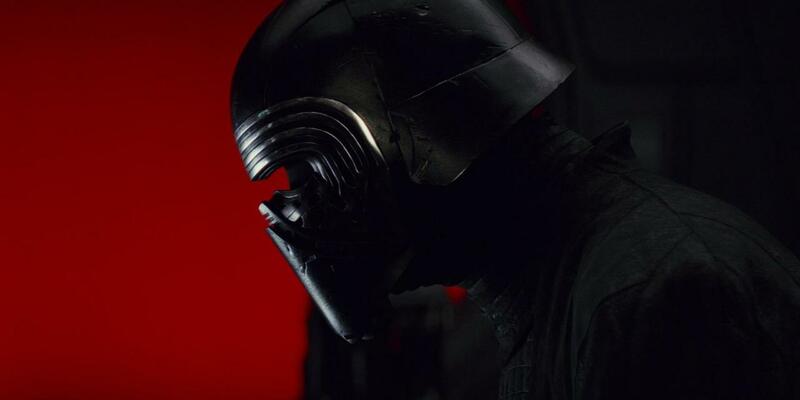 Kylo Ren (Adam Driver) bows before Supreme Leader Snoke. Not all is perfect, of course. Johnson wants to be free from Star Wars‘ pre-existing expectations, which is an interesting notion in theory. But it makes little narrative sense with what’s been established before. A particularly bizarre scene has General Leia (Carrie Fisher), seemingly dead and floating in space, employing the Force to fly back to safety in a display of power we never knew she possessed. The question of Rey’s parentage – “Is she Luke’s daughter? Obi-Wan’s granddaughter? Ben’s sister?” – is resolved (or is it?) in a perfunctory manner that doesn’t gel with the way it was set up by previous director J.J. Abrams in Star Wars: The Force Awakens. And how can the ghost of Yoda (Frank Oz) summon lightning, let alone hit Luke in the head with a cane? 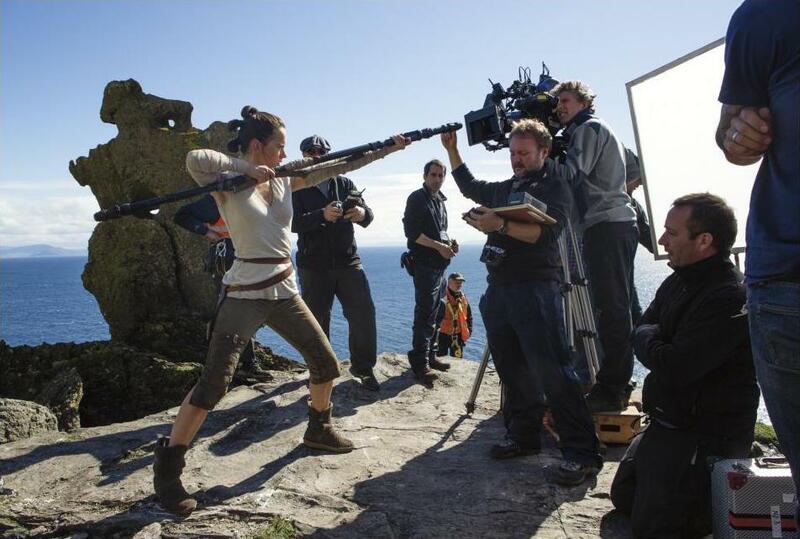 Writer/director Rian Johnson shows Rey (Daisy Ridley) how to aim at the camera. Johnson struggles in other areas as well, in particular a subplot involving Finn (John Boyega) and a maintenance worker (Kelly Marie Tran) on a mission to find a “master codebreaker.” It’s a protracted sequence that’s dramatically unsatisfying and feels out of place with the rest of the film (don’t get me started on the groan-inducing rescue of a bunch of abused horse-like creatures). There are some thematic issues too. One of the recurring motifs is sacrifice, but its presentation is inconsistent: While Holdo and Luke help the Resistance escape by staging their own respective acts of valor, Finn is stopped in his tracks as he tries to maneuver his craft into an enemy weapon. Why? Because, as Rose puts it, that’s “…how we’re going to win, not fighting what we hate, saving what we love.” Sorry, can’t have it both ways. Elsewhere we have Poe (Oscar Isaac), the hothead pilot who could one day be a leader. So at a critical juncture in which many lives are at stake, Holdo keeps him in the dark as to a secret plan. Which leads to Poe staging a coup. Which Holdo and Leia then forgive, since he’s been taught a valuable lesson? Yeah, I’m not buying it either. I can see how Johnson wants to have real moral implications in his story and introduce big thoughts into a universe that has forever existed in black and white (Empire vs. Rebellion, First Order vs. Resistance), but he’s afraid to fully commit. Guess in the end this is a Disney movie after all. Star Wars: The Last Jedi is full of ideas, but they are ultimately too disjointed and muddled to really hit. However, in trying to forge something new and move the Star Wars myth forward, it earns its place as one of the most audacious chapters yet. I didn’t like it and it was quite boring to me! I don’t have a rating system low enough to rate The Last Jedi… I have it lower than Fantastic Four from 2015… and that is very very low.